Official Hurt Trucker™ Site » Uncategorized » Look Ma, No Hands!!! Look ma, no hands!! That may be the future of over the road driving if the Daimler “Superduper Truck” catches on. On July 3 Daimler, best known in the US for its Freightliner subsidiary, presented “Future Truck 2025” on a German autobahn near Berlin. The supertruck drove along the highway all by itself at more than 50 mph using radar sensors and 3D cameras to assess the area within 200 feet of the truck, with wireless connections to other vehicles and road infrastructure providing additional information. 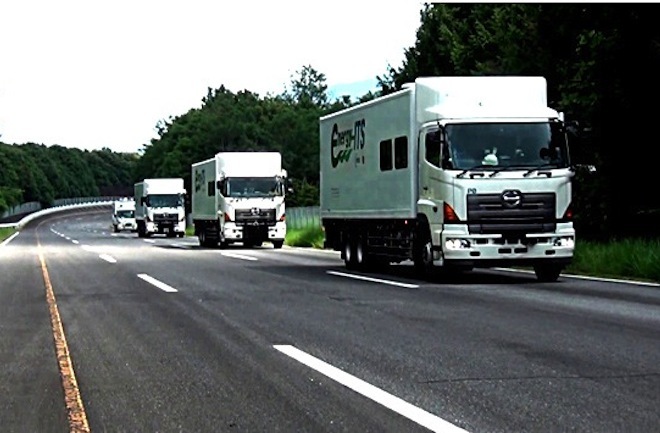 The truck went through its paces, encountering various situations such as open road and traffic congestion and lane changes in emergency situations. While the driver is not actually driving the vehicle, there is a human on board who still has control of the vehicle. The driver takes over to steer the truck onto a ramp and to park the vehicle. Daimler claims its aim is to turn the driver into a “transportation manager” – not replace the driver – and the cab into an office workspace for new professional skills. If the “Superduper Truck” were approved for highway use and widely adopted, the optimistic view is that it would make life easier for over the road drivers. Drivers will be free from continually steering and controlling the speed of the truck. Drivers could manage the trip, make decisions about pickup and delivery and perform other functions that are now done by a dispatch manager. Daimler claims that this new technology will improve safety and that drivers will be less stressed and fatigued by endless hours behind the wheel. The pessimistic view is that someday the technology could improve to the point were companies opt not to have any driver in the cab. “Driverless” trucks are already used in some non-highway uses, such as mining. You won’t be seeing these vehicles on the road in the US anytime soon. Highway use of these vehicles will require major improvements in technology and major changes in state and federal regulations and laws. So, drive safely and be happy.